Scientists are discovering that oil rigs serve as unlikely "reefs," housing and protecting sea stars, muscles, sponges, crabs, and other marine life. Courtesy photoeverywhere.co.uk. If you’re a fan of the popular 99% Invisible podcast and the kinds of stories published on Redshift, then you’re in the right place. Autodesk and Redshift partnered with 99% Invisible host Roman Mars and his crew for six podcasts tied to the show’s mission of uncovering the fascinating—yet inconspicuous—ways that architecture and design shape the planet. In this first episode, “Crude Habitat,” Mars talks about the 1969 oil spill from a rig off the coast of Santa Barbara, California, which catalyzed an environmental movement and some important legislation (for example, the Clean Water Act of 1972). 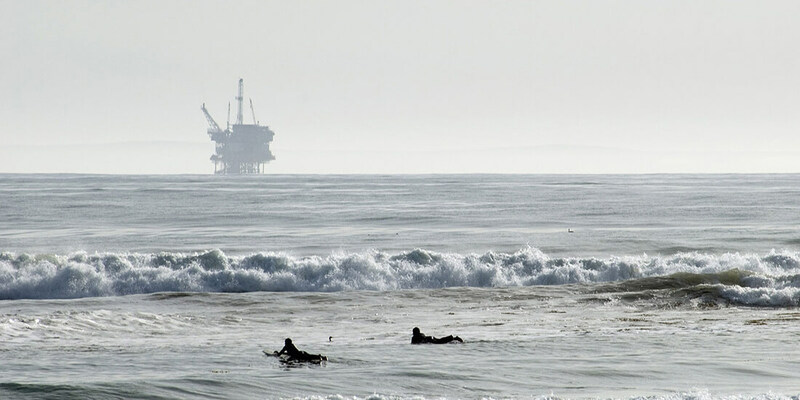 The oil platforms built and assembled in the ocean in the ’50s and ’60s have been controversial, and environmental groups such as Get Oil Out (GOO) have been keyed up to remove them. Learn how digitizing coral reefs can help raise conservation efforts. But then something strange happened. Marine Science Institute biologist Milton Love rented a small submarine and discovered that marine life—sea stars, mussels, sponges, crabs, and fish—had set up camp on the oil rigs because the structures provided a suitable habitat and protection, like artificial reefs. The oil platforms have even helped endangered species rebuild. But the debate continues between lawmakers and environmentalists about what should happen to decommissioned oil rigs. Also in this episode, Mars discusses impact-design solutions—such as wind-energy generation and coral-reef preservation—highlighting how nonprofit SECORE restores coral reefs through its IVF-style fertilization and 3D-printed seeding units. Enjoy the podcast.